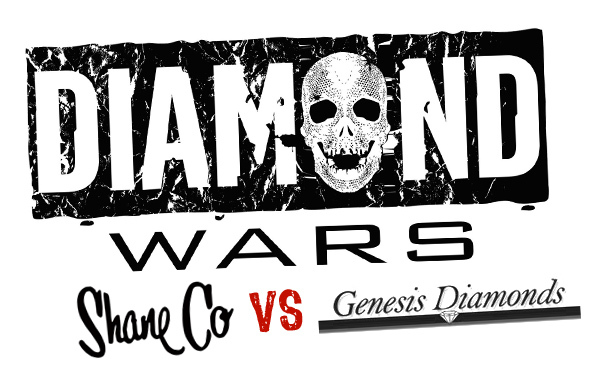 Over the past few weeks, Louisville radio listeners have been given a ringside seat to an AM/FM slugfest between big-box diamond wholesalers Shane Co. and Genesis Diamonds. I encourage you to listen to the spots here, but the gist of the conflict goes like this: New-kid-on-the-block Genesis Diamonds ran an ad accusing Shane Co. of pricing their diamonds at far above book value. After getting slammed for a couple of weeks, Shane Co. answered back, accusing Genesis Diamonds of being “dishonest” before proceeding to question their business integrity. Granted, these spots don’t reach the venomous levels of a political mud-slinging campaign — in fact, neither jeweler directly names the other. But they do have a decidedly more acidic tone than what we’re used to from jewelers, which makes me to wonder a) what do consumers think of these ads, and b) who wins in a shouting match like this? When businesses attack one another in such a direct way, not only do they risk being perceived as whiny or petty, they risk raising suspicions in the mind of the consumer about their own integrity. Therefore, staying above the fray seems to be the best move (in my opinion). Of course, sometimes there comes a point when one must answer a negative attack. The tone of the answer, however, is critical. Instead of dignifying Genesis Diamond’s charge by countering with its own negative attack, perhaps Shane Co. could’ve quickly dismissed them as a jealous newcomer and spent more time focusing on why their store has been trusted by the community for over 50 years, etc. etc. Either way, I think this battle of the big boys gives smaller jewelers a great opportunity to enter the conversation and cast themselves as the mature adults. Were I a local jeweler looking for a competitive angle, I’d savor the chance to strike. So what gives? Who do you think comes out on top in Louisville’s Battle of the Bling?